The Surface Pro is a cool device but USB connectivity is one of its weak point. 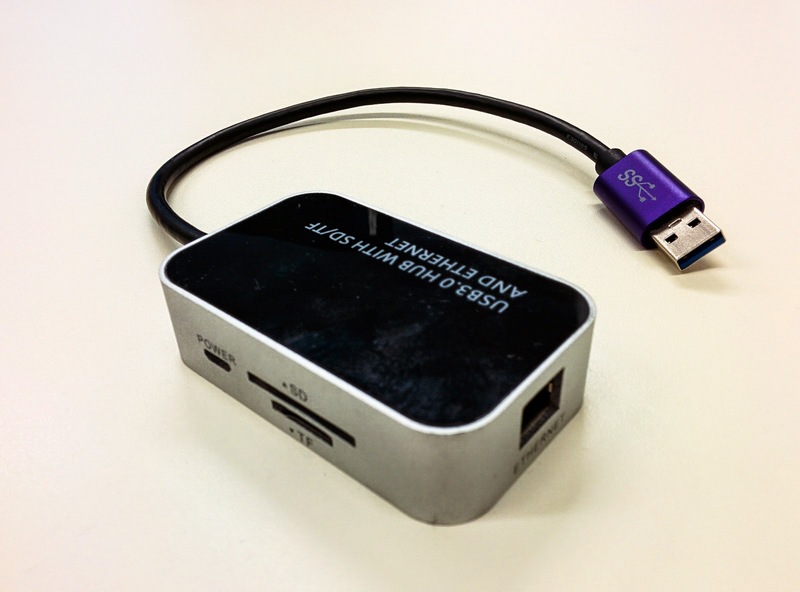 It has a single USB 3 port that is not fully powered. Devices that need the more power like an USB monitor will not work. Up until now I used a hub with 3 USB ports and LAN (RJ45). An Y cable connected the USB port on the power supply to provide additional power to the hub. So I loose 1 USB port, but get the SD card reader. The form factor is really nice. The killer feature is the Micro USB port. 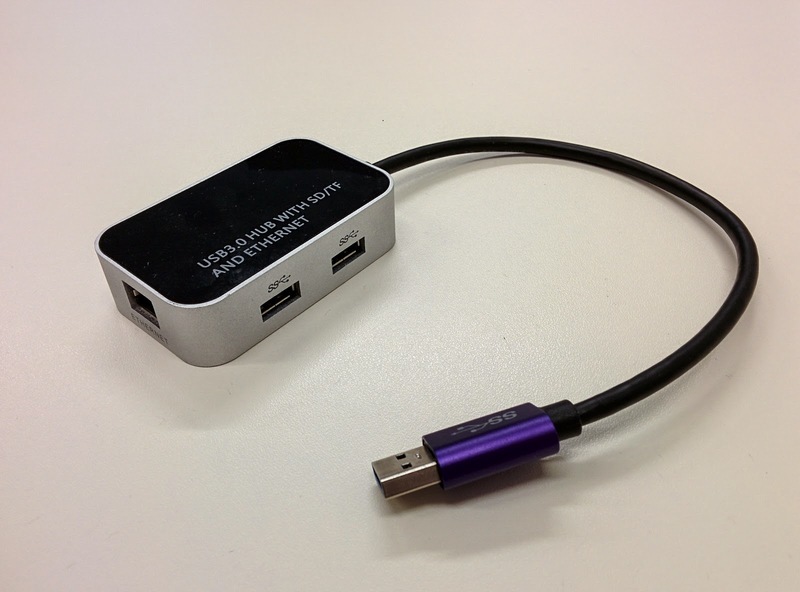 Finally a powered USB hub that does not need a special power supply. I tested it connected to the Surface Pro power supply and the Asus MB168B+ USB monitor. Works fine.